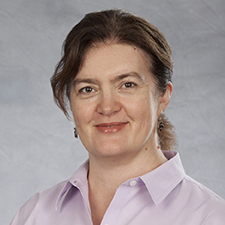 Zsuzsa Nemeth, MLIS, CCRC, joined the University of Miami Libraries in 2015 as a Reference and Education Librarian at the Louis Calder Memorial Library. She serves as Research Liaison Librarian, and as Personal Librarian to Academic Societies Roentgen, Schweitzer, and Virchow. Ms. Nemeth completed her Master of Arts in Library and Information Science Studies at the University of South Florida, and earned a Bachelor of Science in Education from Rockford University. Her current appointment follows positions as Health Information and Research Librarian at the South Florida VA Foundation for Research and Education, Clinical Research Coordinator at the Miami Project to Cure Paralysis, and Research Associate with the University of Miami Department of Pediatrics. Ms. Nemeth is a member of the Medical Library Association, the American Library Association, the Florida Health Sciences Library Association, the South Florida Health Science Libraries Consortium, the American Public Health Association, and the Association of Clinical Research Professionals. For one-on-one assistance in finding relevant information for research papers, systematic reviews and other projects, and with bibliographic citation management systems such as Mendeley, RefWorks and EndNote, please schedule a meeting by clicking on the button below.